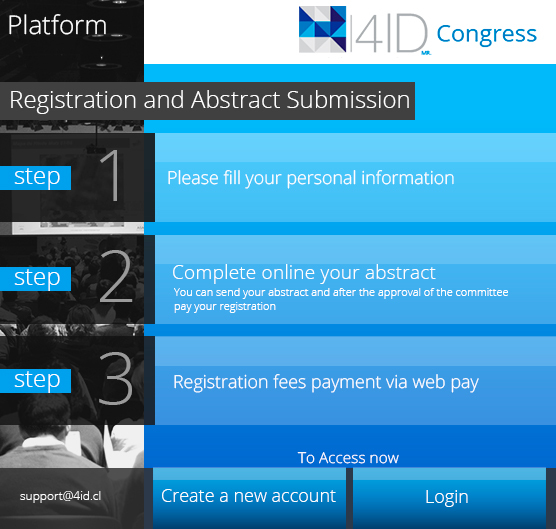 Register here and upload your Abstract! The online platform of the The 3rd International Flavor and Fragrance Conference, IFFC2019 will be available from March 15, 2019 so that participants can register and submit their summaries. The closing date of the last call for abstract submission will be April 30, 2019 al 06:00 pm (Chilean time). Note: Those who enter their abstracts before April 30 (inclusive), and although they have not yet received acceptance of their work, the value of early registration will be respected, according to the category of assistant. IMPORTANT: To those who require an urgent letter of acceptance of the summary to perform procedures in their institutions, we recommend sending their summaries as soon as possible after the platform is available in March 15. 2019. The summaries will be reviewed in order of arrival and the letters of acceptance will be dispatched in that same order. Full registration fee from August 3, 2019. Abstract Submission Closes April 30, 2019. For registration, click on Create new account in the image. If you already have an account, log in to access the platform.